He was the most uncommon presidential candidate. Most of them, disappointingly, flatter every group of voters they appear before by telling them what they're confident they want to hear. Candidates, to put it bluntly, verbally caress the erogenous zones of the body politic. But not so with one presidential candidate, then-Sen. Ernest "Fritz" Hollings, D-S.C., whom I knew I liked and admired. He candidly told voters what he believed, which was often what the group did not want to hear. The campaign year was 1984. A popular President Ronald Reagan was running for reelection. Hollings was the longest of long shots. 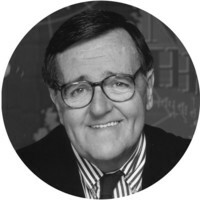 But on Nov. 4, 1983, when he went to Dartmouth, a prestigious Ivy League school in the historically important primary state of New Hampshire, Hollings, a decorated World War II combat veteran, spoke heresy, shocking the privileged students: "I want to draft everyone in this room for the good of the country." Hollings rejected "the old Vietnam-style draft where if you had enough money, you were either in college or in Canada." He had his student audience's attention but not its applause. "Conscience tells us that we need a cross-section of America in our armed forces. Defense is everybody's business ... everybody's responsibility. A professional Army is un-American. It is anathema to a democratic republic — a glaring civil wrong." If you really prized candor in your political leaders — rather than pre-packaged talking points — Fritz Hollings was your man. That July, to a Washington meeting of the National Council of Senior Citizens, a group accustomed to being told repeatedly all the country owed to them in their twilight years, Hollings, a committed foe of unbalanced federal budgets, refused to coddle. He told the retirees not of the obligations society owed to them but instead of their own obligation "to your children and grandchildren." Alone of all the candidates, Hollings pledged, "If I'm elected, I will freeze your cost-of-living adjustments for a year." To a Washington meeting of defense contractors who were pleased as punch with Reagan's promised doubling of the Pentagon budget, Hollings delivered unwelcome news: "If I'm elected president, I will freeze the defense budget at 3% real growth and do away with the MX (missile) and the B-1 (bomber)." And what would a President Hollings exempt from his spending freeze? Answer: Food stamps and assistance to the disabled. We, voters and press alike, insist we want candidates who will level with us, treat us like grown-ups. But what about Hollings? In 1962, as governor of South Carolina, in dramatic contrast to the racist rhetoric from Alabama and Mississippi statehouses, Hollings had presided over the peaceable integration — without bayonets or bloodshed — of Clemson University by telling his state legislature it "must make clear South Carolina's choice, a government of laws rather than a government of men." He continued: "We of today must realize the lesson of 100 years ago, and move on for the good of South Carolina and our United States. This should be done with dignity. It must be done with law and order." When his own presidential campaign foundered in the 1984 New Hampshire presidential primary, Hollings observed that "Thomas Wolfe was wrong; you can go home again. I know. That's what the people of New Hampshire told me to do." Hollings, who died this month at 97, left the Senate in 2005 .But in 2015, he gave us one more indelible profile of his character when he persuaded fellow South Carolinians Republican Sen. Lindsey Graham and Democratic House Whip Jim Clyburn to support legislation to rename the Hollings Judicial Center in Charleston in honor of the late federal judge Julius Waties Waring, the son of a Confederate soldier, whose courageous rulings against racial segregation in the 1940s and '50s made him and his family the targets of death threats. Praised for his humility and generosity, Hollings explained that all he did was get the money for the building. Judge Waring "made history in it." Fritz Hollings of South Carolina was an American giant.